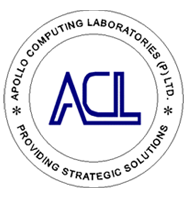 ACL will take up Annual Maintenance Contract for their products, which are out of warranty period after inspection of the Product for satisfactory functioning. In case the system is not functioning as required, then AMC can not be taken-up by ACL till it is rectified. AMC is available @ 15% of the Price at which that Product was sold to the Customers in the first year immediately after expiry of warranty period. The above rate of AMC will be revised for each of the Extra years of Contract period based on the condition and previous maintenance history of the System / Product, at the end of each year of the Contract. The Contract will cover all the aspects of Preventive Maintenance and Breakdown Maintenance of the Product inclusive of repairs / replacements of the Parts for a period of 12 Months. Customer has to pay initially 50% of the Contract value at the time of beginning of the Contract. The Contract period starts from the date of initial payment. Balance 50% of the Contract value should be paid at the End of Six Months of the Contract. Depending on Complexity & Usage of the System / Product supplied by ACL, a scheduled Preventive Maintenance check will be carried out at the beginning of the Contract, at the beginning of Seventh Month & at the End of the Contract. Apart from the scheduled Preventive Maintenance checks, ACL will respond to the break down calls within a typical response time of two days to ten days, depending on proximity of the Customers. ACL may decide to repair / replace the Product / Part at its option. ACL will consider changes in the above Terms & Conditions of AMC on Case to Case basis.